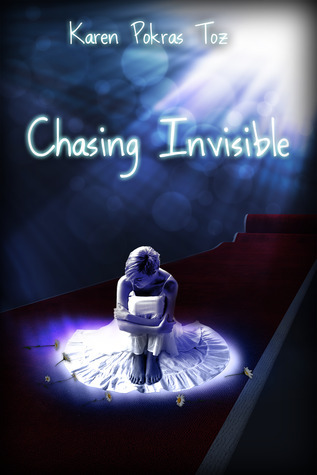 Chasing Invisible is Karen Pokras Toz's first foray into adult fiction. You may recognize the author's name as she is the award winning children's author of the Nate Rocks series. I'm a bit behind though on Karen's writing as she now has a romance series, Whispered Wishes, under the name of Karen Pokras. But let's get back to Chasing Invisible. I love Karen's writing style. I would probably read a cereal box, and enjoy it, if she wrote it. It seems simple and straight forward, but then you begin to peel back the layers and discover so much more to her story. I actually wish I was discussing Chasing Invisible instead of reviewing it. I have a number of questions and speculations I wish to voice, but to do so would be too spoilerish for a review. So instead I must encourage you to pick up the book and read it. Then we can discuss it on another forum... perhaps on Twitter or Facebook. Introverted bookworm Julia meets nice guy lead singer Chase in college. At first, she wants nothing to do with him, but his relentless pursuit (and encouragement from her friend Robyn) finally wears her down and she agrees to a date. Chase is smitten and writes a song for her. Julia falls head over heels for Chase and loves the idea of a song of her very own. Unbeknownst to the happy couple, a friend send the song to a producer. And the crazy fame-filled life ensues. That is an oversimplification of the plot, yet that is basically how I saw the story. Until I got to the end. A HUGE shock. 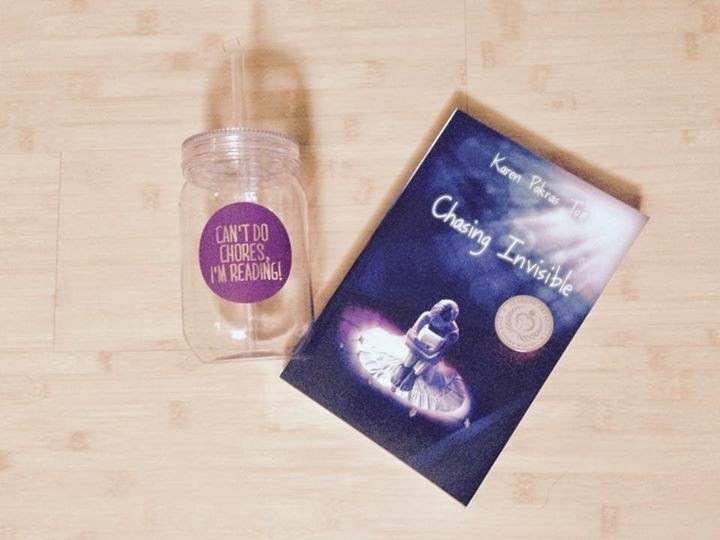 I knew from the rumbles when Chasing Invisible came out that Karen took a risk with the ending. And when I first read it I was totally what the heck, thinking that it was completely out of character, but then I spent the next six hours not able to stop thinking about the entire story and started to see that maybe it wasn't so out of character. 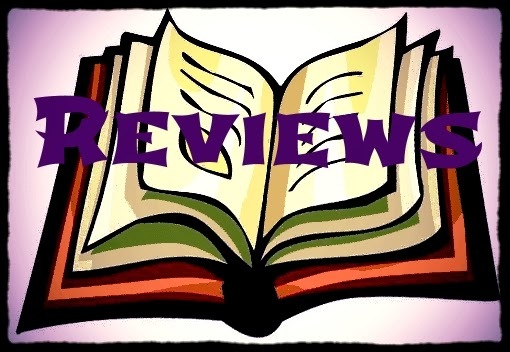 Unfortunately, for me, I must leave it there as this a review and I would hate to ruin the story for you. I would highly recommend Chasing Invisible for book clubs. Karen helpfully includes a discussion guide at the end, but even without it I'm sure a reader would come up with a number of questions on their own. There is so much that could be discussed. If you would like a signed paperback, as an Independent BookSurf Consultant I can assist you in procuring such a treasured item. And right now you can get a signed copy and a tumbler for just $12 (plus shipping and handling). Hurry though, the sale ends 1/14.